How Do I Delete All Photos From My iPhone? Here's The Fix! You are at:Home»iPhone»How Do I Delete All Photos From My iPhone? Here’s The Fix! How Do I Delete All Photos From My iPhone? Here’s The Fix! Your iPhone memory is filled up with photos, and it’s time to delete the old to make room for the new. You open the Photos app and look for a Select All button, but it isn’t there. Do you really have to tap on every single photo to delete them? Fortunately, the answer is no. 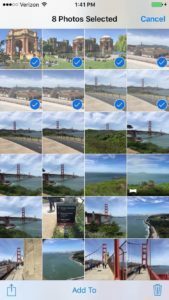 In this article, I’ll show you two ways to delete all the photos from your iPhone at once. First, I’ll show you how to delete your photos using a program that’s already on your Mac, and then I’ll tell you about some free apps that allow you to delete all the photos from your iPhone without plugging it into a computer. When you take a photo on your iPhone, it ends up in Camera Roll in the Photos app. Even if you’re storing your photos in iCloud Storage or Photo Stream, photos stay in your Camera Roll until you delete them. The Photos app on Mac does have an option to remove photos from your iPhone after you import them, but that option goes away if you didn’t remove them the first time, so that’s a no-go. 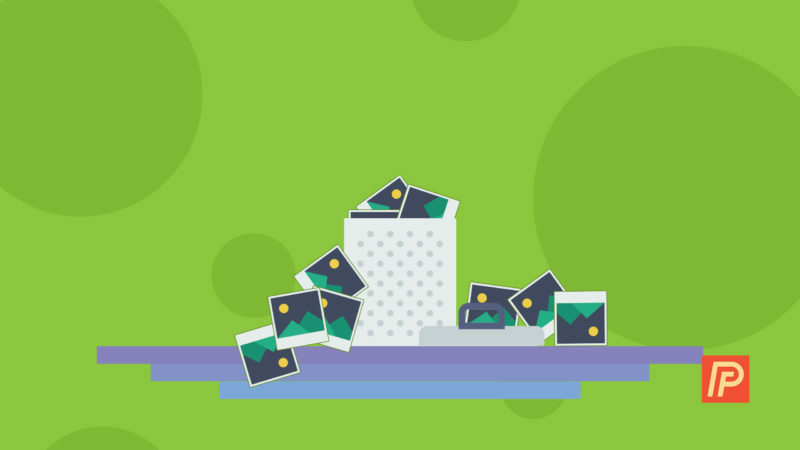 Before you delete your photos, make sure you’ve backed up the photos you care about. When I worked at Apple, I had the unfortunate duty of letting people know there was no way for us to recover photos from their damaged iPhones, and a lot of the time they’d break down in tears. It was very sad. I understand why Apple doesn’t make it easy to delete photos from iPhones. Remember, it’s not a backup if your photos are only stored in one location, so make sure you’re backing up your computer too! The tried-and-true method of deleting all photos from your iPhone is to use a program called Image Capture on your Mac. 1. Click the magnifying glass in the upper right-hand corner of the screen to open Spotlight. It’s on the right-hand side of the clock. 2. Type “Image Capture” and double-click on the Image Capture app to open it. 1. Click on your iPhone under “Devices” on the left. 2. Click on any picture on the right side of the window so it is highlighted in blue. 3. Press command + A to select all of your photos. Alternatively, click the Edit menu at the top of the screen and choose “Select All”. 4. Click the prohibitory sign icon at the bottom of the window, just to the left of “Import To:”. Over the last two years, a number of free apps have surfaced that allow you to delete the photos on your iPhone without using a computer. I’ve selected three highly-rated, popular apps that make it easy to delete photos from your iPhone. At the time of this writing, ALPACA is the highest-rated popular app for deleting photos from your iPhone. The reason popularity matters is that any app can get a 5 star rating – if 2 people review it. ALPACA groups similar photos together to make it easy to quickly pick and choose which photos you’d like to keep. It does more than just delete your photos – it makes the process efficient. I’ve only heard good things about it, and its nearly-perfect 5 star rating makes it my #1 recommendation. Other highly-rated apps to check out are Photo Cleaner, a no-frills app that does the job, and Flic, an app that lets you swipe left or right to quickly sort through photos in Camera Roll. You’ve deleted all the photos from your iPhone and made room for new ones – without pulling your hair out using the Photos app. If you used one of the apps I recommended to delete your photos, let me know which one and how it worked for you in the comments section below. Previous ArticleMy iPhone Apps Won’t Open! Here’s The Real Fix.